"I want to die with my blue jeans on," Andy Warhol once declared, just one of many cultural icons loyal to the sturdy twill uniform. 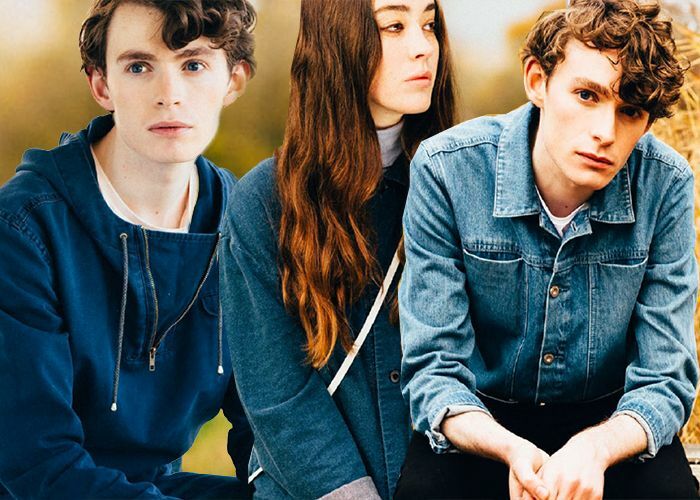 And while like Warhol's pop art, jeans might be forever linked to images of Americana, across the pond there's a slew of small-scale British brands leading the way in pioneering, independent denim design. This year's LVMH Prize went to one such designer -- Marques'Almeida -- who beat out a field of competition that included another rising London-based denim talent, Faustine Steinmetz. Below, we look at these two brands along with eight others that are creating the coolest denim designs right now, everything from fuss-free utilitarian basics to the shredded and threaded, and more. Marques'Almeida, the brainchild of Portuguese designers Marta Marques and Paulo Almeida, launched in 2011 and quickly gained international cult status for a contemporary grunge aesthetic inspired by subcultures and icons of their youth (think: Riot Grrrls, Corrine Day photography, PJ Harvey). Easily recognized by signature frayed edges, flap pockets and one-shouldered cuts, the brand has fostered a new era of slashed hems and ragged folds, in a range of washed indigo and primary colors. Rihanna is a fan, as is Solange Knowles, Ciara, Cassie and Elena Perminova. Its lived-in look now comes sparkled in Swarovski glitter and jewel embellishment, anchored in glorious '90s nostalgia. Born in Paris and now based in London, Faustine Steinmetz uses hand-woven techniques to create her threadbare fabrics and rugged rips. Basic silhouettes are given a teen-dream remix -- jeans come hand-felted or painted in thick silicone, while playfully exaggerated stitching gives a trompe l'oeil effect. It's a youthful joie de vivre that pulls on her Parisian heritage and London surroundings, with each piece laboriously spun on a handloom that can take up to one week to make. It is a precious and meticulously time-consuming approach using recycled fabrics and sustainable yarn, and as a result, very few samples are made. However while small in number, Steinmetz is mighty in impact. 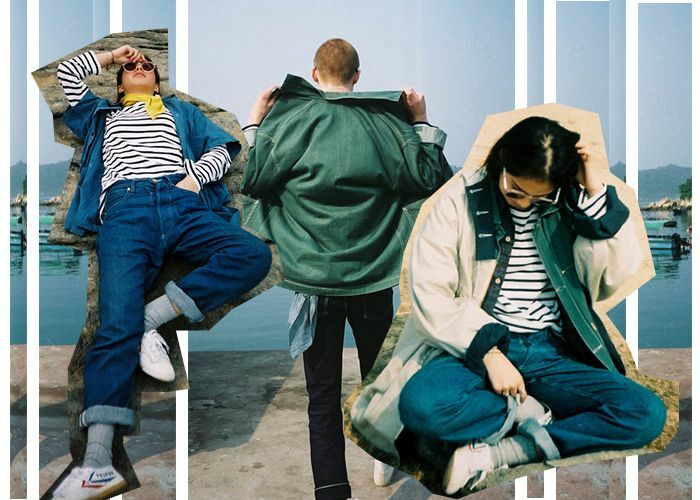 Bethnals is a completely unisex range of utilitarian denims that aims to blur the boundaries of age and gender with their line of skinny and boyfriend-cut shapes. 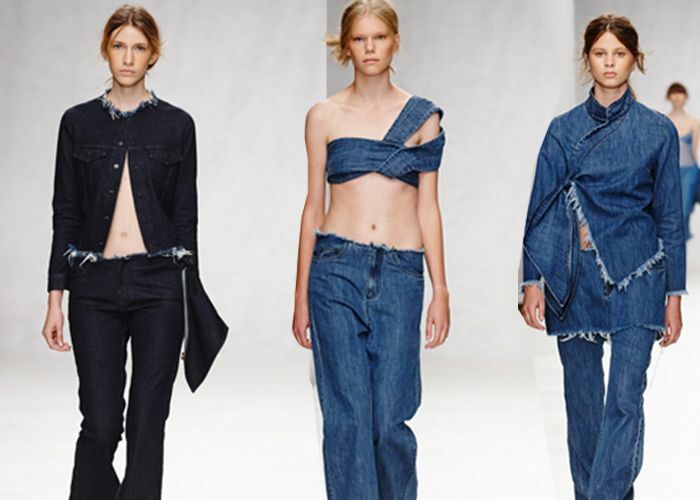 Inspired by the diverse melting pot of cultures found in London, the brand was created by self-confessed denim addict Melissa Clement, a former denim buyer for Topshop who has worked within the industry for 14 years. The label was originally funded by Kickstarter, before being picked up by East London jean-hub Bad Denim and recently opened its flagship store within London's Spitalfields. The brand champions classic, timeless shapes, with a look book that carves a dreamlike androgyny: washed denim jackets, white shirts, baseball stripes and fuss-free cuts. With a celebrity following including Miranda Kerr, Heidi Klum, Kate Bosworth, and Alessandra Ambrosio, Frame Denim is perhaps the biggest heavyweight on our denim list. The brand was conceived in 2012 by Swedish duo Erik Torstensson and Jens Grede, also responsible for London's creative powerhouse, The Saturday Group, an enterprise of twelve diverse companies covering digital, e-commerce and brand management. What launched as a singular pair of jeans (Le Skinny, 2012) has become an international denim dynamo with a loyal super-fan following and a collaborative line with Karlie Kloss (Forever Karlie), which evolved after she complained to the designers about her frustration at finding a denim long enough for her 'legs for days' frame. VoilÃ , they created a pair, and a new model-designer collab was born. WÃ¥ven seamlessly fuses Scandinavian design with a London edge, with their sleek line of classic jeanswear that includes shirts, jackets and trousers. The brand launched in 2014, gaining fast popularity for their relaxed clean cuts, loose box shapes and neutral color palette, before being picked up by Urban Outfitters and Topman. Head over to their Tumblr for a beautifully curated moodboard of influences and styling. Sydney-native Ida Thornton moved to the UK in the late '90s, before opening her first Donna Ida denim boutique in 2006 after noticing a frustrating gap in the market for durable, comfortable denim. The Jean Queen now owns two stores in Chelsea and Belgravia, stocking brands including J Brand and Current/Elliott, along with her own line of IDA denims -- a high-waisted fit inspired by iconic women from Bardot to Hepburn. She also runs denim clinics, to assist women in sourcing their favorite fit, and is a patron for Jeans for Genes, a charity fundraiser based in the UK and Australia. MiH Denim originally made its name during the 1970s, launched by Tony O'Gorman under the moniker Made in Heaven, and quickly became known for its flattering leg-lengthening, playful styles and iconic dove motif. Four decades later, his goddaughter Chloe Londsdale reestablished the brand in 2006, placing a contemporary twist on its retro archive designs. The brand is once again thriving, in a vast range of styles and washes, from dark indigo flares and distressed boyfriend cuts to stonewash overalls and patchwork skirts, favored by the likes of Claudia Schiffer, Natalia Portman, Sarah Jessica Parker and Katie Holmes. The streetwear brand was founded by Sofia Prantera and Fergus "Fergadelic" Purcel, who met in the early '90s at London's iconic skate store, Slam City Skates. Their haute-couture skate-girl look throws graffiti prints and graphic rainbow streaks in with relaxed androgynous cuts and micro minis, referencing a pop-cultural cross-blend of rave, punk and grunge for their undone D-I-Y glamour. Newly launched KÃJI places a modern spin on industrial workwear. The brand was founded by Katie Green, a Hong Kong native who currently designs her utilitarian denims from an East London studio. The result is an Anglo-Japanese blend of boxy, drawstring jackets, voluminous trousers and kimono sleeves, underpinned by '90s minimalism. Each piece is created using non-stretch heavy denim sourced in Japan, designed for endurance and longevity. Story mfg plays the denim slow game -- a thought-to-thread concept founded by Katy Katazome and Bobbin Threadbare, which pulls together innovative weaves and washes to create their vintage-inspired denim pieces, which shun traditional, non-environmentally friendly techniques. The brand experiments with textile production and ethical dye methods and most recently set up shop in a suitably unconventional houseboat on Regent's Canal. Each wistful piece comes with a story -- a denim journey that you can track fully on their website.